The seas around Spitsbergen aren’t too busy. There are only few species of bird that can be seen, but the ones that are there can occur is quite large numbers. During my past trip I had a group of birders and photographers. Every time we were out at sea some of them were standing outside with large telelenses to take some pictures of Fulmars, Brunnich’s Guillemots, Little Auks or Puffins flying by. 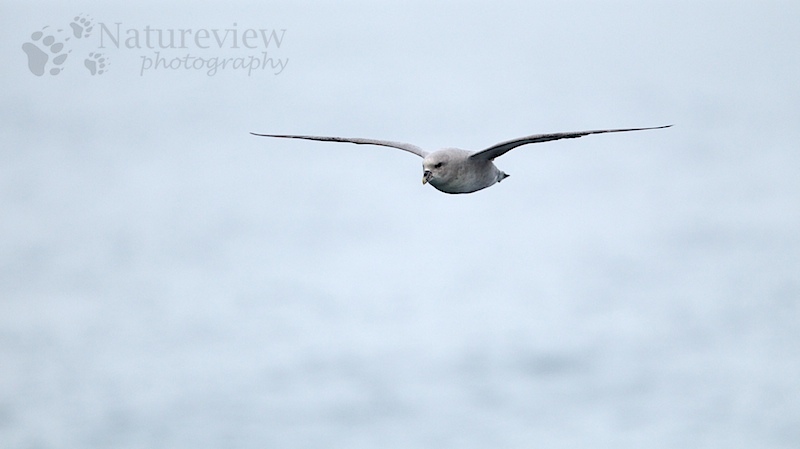 Even though I’ve got many Fulmars in flight, I often join them. This picture was taken when we were sailing out of Isfjord on the first day. The sea was flat calm and it was overcast, resulting in a soft grey picture.